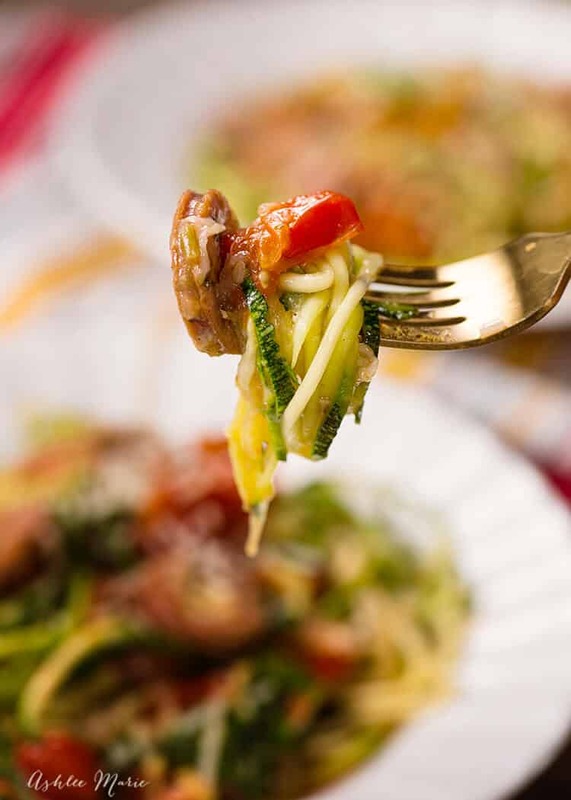 Now the first time I heard about a Spiralizer I was like – who would need that – I mean why pick zucchini noodles over pasta… EVER? But I had to get one to make a video for a client and after finishing their dish I had to admit I liked it – not for like a replacement – but for a dish entirely it’s own! 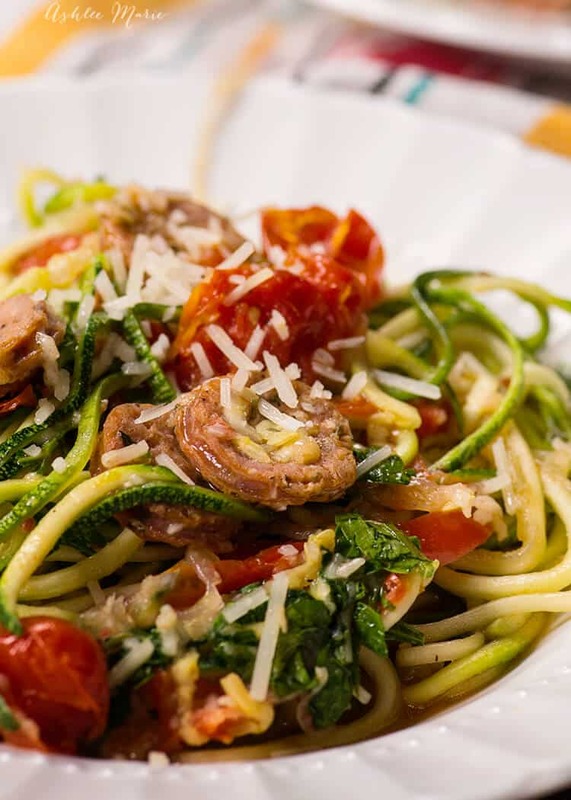 The first time I made this dish I only used 2 small zucchini’s and afterwards I told my daughter that it was to meat heavy – 2 words I NEVER thought I’d say – I usually wish for more meat! Obviously you could do what you like – but I found that 2 large zucchini’s or 3-4 small was a better ratio for me. Now when you add the raw noodles it looks like a TON – but it shrinks down as you stir it with the sauce. This dish isn’t super saucey, the veggies mostly soak it up – but it’s full of flavor. I like the red pepper flakes for a bit of a kick to the dish, but if you don’t like it as spicy I’d say to cut back or leave it out entirely – you’ll get plenty of flavor from the sausage of course. 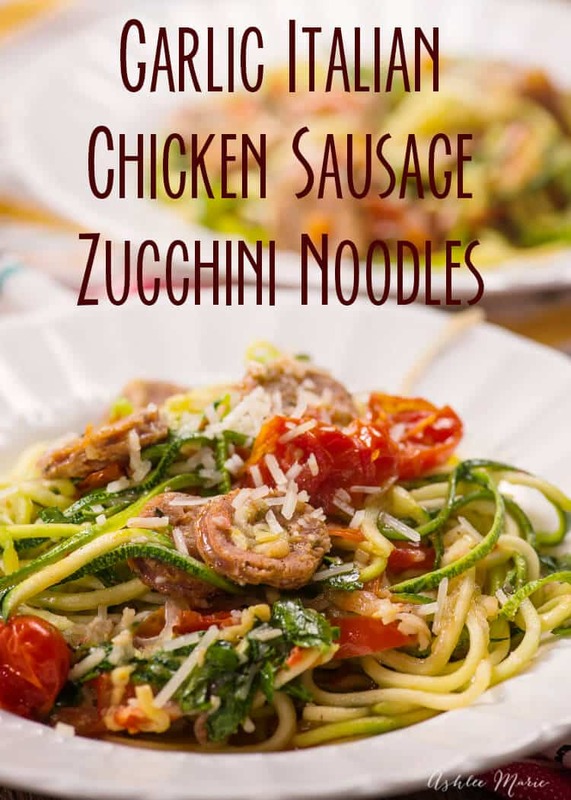 This one pot meal is easy to make and always a huge hit, slightly spicy with the Italian sausage and filled with veggies like garlic, tomatoes, onions, peppers and of course zucchini it's a dish everyone loves. add parmesan cheese if you'd like and enjoy! 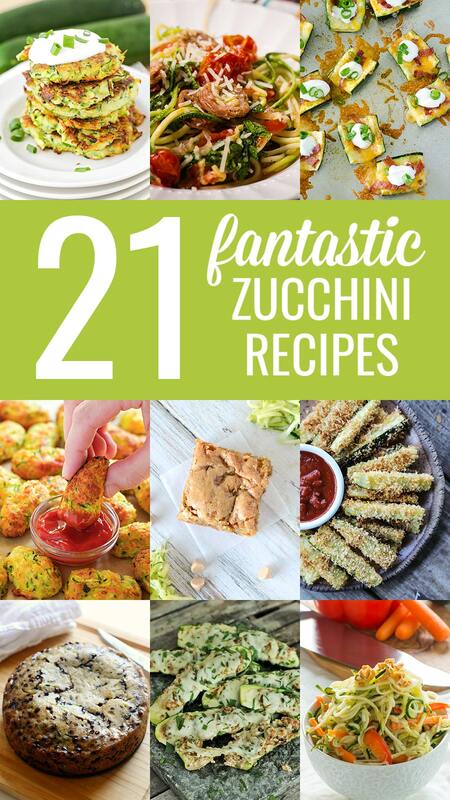 And it’s national zucchini day – not a food holiday I ever thought I’d celebrate, but I’m glad I did! Food is so much fun to play with and experiment with! Whats a food you didn’t expect to enjoy but did? 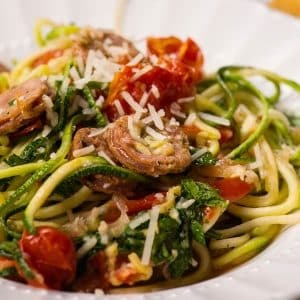 I still haven’t used the spiralizer I bought last year. My family loves sausage, so I think they would like this. Adding it to the list! Do you have any idea what the points would be on Weight Watchers?